Hello Everyone! Tomorrow will be Valentines Day's! 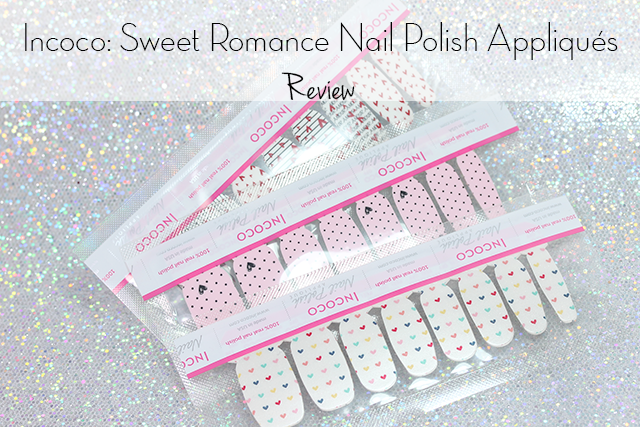 If your like me who wants some simple and easy nail art designs, but don't have the time to create one, well for today's post I have a review on these pretty nail wraps from Incoco: Sweet Romance Collection. Sugar Sweet- a tiny multi-colored hearts on shimmery white. This one is a favorite of mine. It's so pretty and girly all in one. The tiny hearts are just perfect for tomorrow. First Date- a pale pink adorned with dots and scribbled hearts. These wraps are super fun and cute, I absolutely love it. Perfect to were with any outfit! 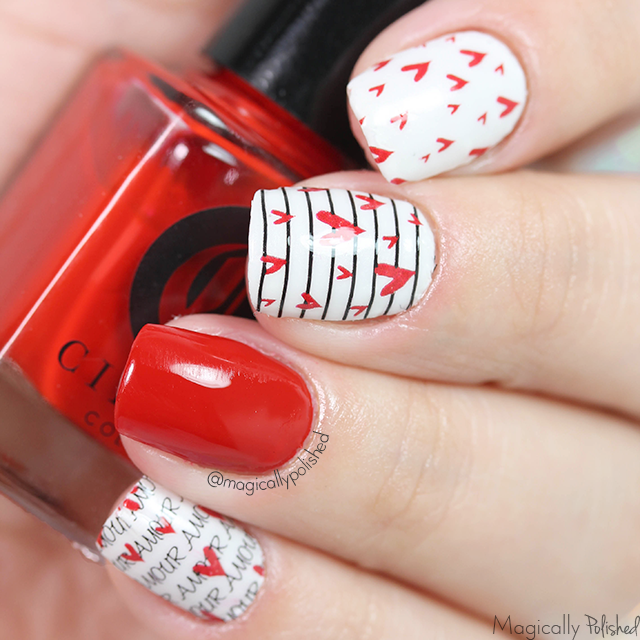 Mon Amour- a whimsical hearts and stripes with a Parisian flair. This is a cute design and very girly, easy to wear if your going to a night out in the town with that special someone. Overall, I really enjoyed the wraps and the designs they have to offer. 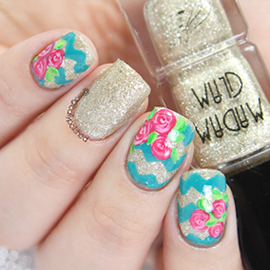 Each package includes two sheets of eight double-ended nail appliqués. They now retail in their site: Incoco for $8.99. This Halloween, six exclusive Incoco nail polish wraps will be available at selected Walgreen's locations. Visit their site for more info and store-locator.